Lindenwood University, a 2014 St. Louis Business Journal Best Places to Work finalist, has been selected by Quantum Workplace as one of three locations nationwide to host a seminar detailing how great corporate cultures are built. The event, Winning with Culture: Learning from America’s “Best Places to Work,” will take place from 8:30 to 11:30 a.m. on Wednesday, April 23, in Harmon Hall’s Dunseth Auditorium on the St. Charles campus. Lindenwood University and the Missouri Arts Council have partnered to bring the national tour of MEMPHIS: The Musical to St. Charles, Mo., on April 21. The Lindenwood University Theatre Department will present the classic Russian story of love and betrayal, Anna Karenina, at 7:30 p.m. April 10-12 and at 2 p.m., on April 13 at the university’s Emerson Black Box Theater. Xiong Rongyuan, chairman of Wenshan University in China, recently presented to Lindenwood University the poem below, “Ode to Lindenwood.” Wenshan University, located in Wenshan City in China’s Yunnan Province, has been Lindenwood University’s sister university for nearly a decade. Lindenwood University student Josh Pauls returned to St. Louis yesterday after he and his United States Sled Hockey teammates defeated Russia 1-0 on March 15 to win the gold medal at the 2014 Paralympic Games in Sochi, Russia. The Americans are the first team in Paralympic history to repeat as consecutive gold medalists, having won gold at the Vancouver Winter Games in 2010. Lindenwood University has committed to partnering with Matter, a local organization dedicated to advancing science, technology, engineering, and math (STEM) education and careers, to introduce the Academy of Racing Science to middle schools throughout the St. Louis Metropolitan Area. The innovative program brings STEM curricula to life for secondary school students through interactive experiences at Pole Position Raceway in St. Louis, Mo. The Lindenwood University Department of Nonprofit Administration has launched a new Community Service portion of the www.lindenwood.edu website dedicated to helping students connect with volunteer opportunities within the community. 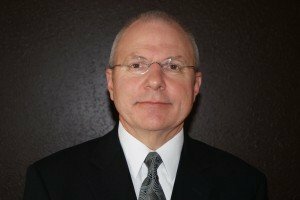 David W. Wilson, PhD, has been hired as the Chief Assessment Officer and Associate Vice President for Academic Affairs at Lindenwood University. Lindenwood University and the Community Council of St. Charles County will host a panel discussion addressing the topics of community need and poverty titled “Helping that Affirms Human Dignity,” from 9 a.m. to 4 p.m. on Thursday, April 10. The event will take place in the Barnes-Jewish Hospital Event Room of Spencer Road Library, located at 427 Spencer Road, St. Peters, Mo., 63376.